Google Rich Snippet Tool Showing Error "Service is currently unavailable"
While testing your site in Google’s Rich Snippet Tool, are you facing any weird errors like, “We are sorry. The service you requested is currently unavailable. Please try again later”? The website which was working perfectly few hours ago, why it has suddenly stopped working in Rich Snippet Tools? All these questions may come into your mind when you would test your site with Google’s new Structured Data Testing Tool. It is not necessary that each and every one would witness this error, but quite a few Bloggers are observing this bug. Yesterday, while we were doing some testing on our different websites we came across this bug. While testing our sites in Rich Snippet tool it was giving weird errors that, “Service is unavailable, Try again later”. It was pretty frustrating and confusing. We did lots of research on it but did not find anything suitable. After a long and struggling research work, we finally came to know that this error only appears when the Google team is updating the database of your site. It was quite relaxing, but how much time it would take to update? It took almost more than 24 hours to work and thus it started to display all the rich snippets details. If you might face similar sort of error then, there is no need to get worried because it is a temporary glitch in Google’s database. However, the only matter of concern is that, while getting this error you probably witness that your newly publish article will not get indexed until or unless you index them through Google Webmaster tools. Since, data update is under process. Therefore, Google bots do not bother to index your new pages. They will keep on crawling your whole website, but would never display its details on the search results until the database update is completed. If anyone has faced a similar error, then the comment box is all yours feel free to leave your experience about it. that's the reasons why is this happened.. I just came across this error, but not until after I had used the tool several times in an attempt to fix a problem with rich snippets even being detected by the tool at all. All of our rich snippets (authorship in particular) had been working fine, and then all of our authorship disappeared. I thought maybe it was a problem with the author picture, but it turned out I was able to get the rich snippet tool to pick up on the rich snippets again by copying the HTML that was generated when I visited the site in question (modX cms back end) and pasting into a static index.html file. Once that was in place, then I checked the site again with the rich snippet tool, and everything was showing normal again. Makes zero sense to me. I checked to see if somehow different user agents were getting different code, but I couldn't find anything (created a user agent to match googlebot and the google rich snippets tool user agent), but the same code was generated (at least for me in the browser I was using - firefox) each time I visited the site. Hopefully this is just some oddity that happens to be coinciding with the database update for our site. Still remains to be seen at this point. This has been happening to me for days and it is really frustrating. Glad to see I'm not the only one and it should hopefully resolve itself. And two months later it's still no better. 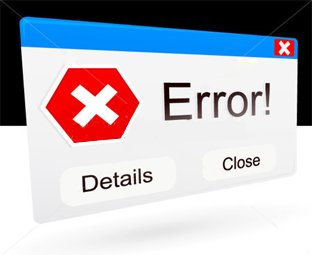 google reports no errors and says that it can see both the authorship and rating markup. However when I test pages with the rating markup it gives this stupid error. I'm not sure if is something to do with trying to display two markups on one page? 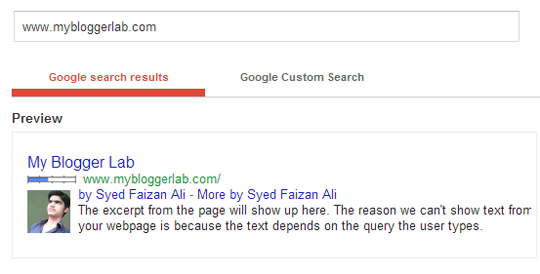 when I test the live page in google search it only displays the authorship. Does anyone have an example of showing two kinds or markup at once?